We've moved! Now open at 123 Yarrow Street! 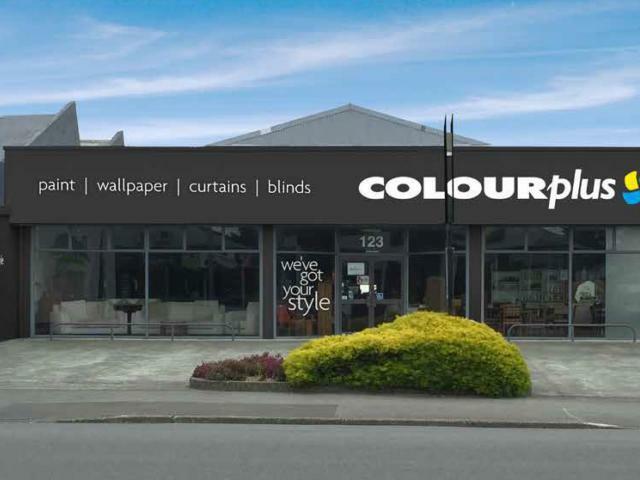 Welcome to Colourplus Invercargill, a locally owned and operated paint and home décor store. Owned by Russell McDonald and Judith McLelland with the support of our dedicated team, we are committed to providing advice and options for you to decorate your home in your preferred style. Listening and understanding what you want from your project is key with us. We believe that your home should represent your personality and with help from our trained professionals this is what we deliver. No project is too big or small at Colourplus Invercargill. Whether you are building or renovating your home, holiday home or rental property, we have options to suit all budgets. At Colourplus Invercargill we offer an extensive range of premium quality paints to suit all of your painting requirements. We also offer an extensive range of colours which are on display on our colour wall. Samples are available in A6 and A3 sizes to help you select the perfect colour for your project. These cards are painted with Colourplus paint, not printed, to give you a true indication of the final colour. Our wallpaper department is one of the largest in New Zealand. We have a wide selection of wallpaper in stock to enable you to begin your project immediately. Or you can browse through our huge range of wallpaper books to choose the perfect wallpaper for your feature wall or for throughout your home. Our experienced staff are on hand to help you with this selection process and to offer you different options to choose from. Colourplus Invercargill also offers you a wide variety of window treatments. Our consultants can work with you to discuss the best options for your home, from custom made curtains through to blinds in every style. We also provide a free measure and quote service and have payment options that can be tailor made to suit your budget. We now have a brand new range of beautiful giftware in store to complement your home. We stock a variety of premium mirrors, cushions, lamps and accessories to enhance any room. Visit our showroom to view the range.